to prevent crime and keep people out of prison. 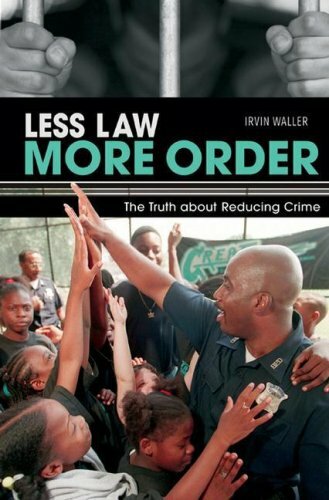 Here, Waller shows that hiring public health nurses and investing in helping youth at risk to complete school and get job training is better than hiring more police; preventing family violence, banning hand guns and dealing with drugs through public health saves more lives than incarceration; getting close neighbors to watch out for us and better industrial design are more effective than criminal courts; smarter policing is better than more police; paying for services to support victims and guaranteeing them rights is better than more rhetoric. Addressing the social issues that lead to crime, rather than addressing crime after it happens, or putting stiffer penalties in place, will contribute to creating a safer society and to keeping kids and adults from taking the wrong path toward a life of crime. Shift from "Pay for Law" to "Invest in Order"